‘The Happytime Murders’ Movie Review – Spotlight Report "The Best Entertainment Website in Oz"
Thanks to Roadshow Films we got to see The Happytime Murders before its Australian cinematic release. This is our review of the movie, but as usual, no matter what we say, we still recommend you to go and see it at your local cinema because there is no better critic than yourself! 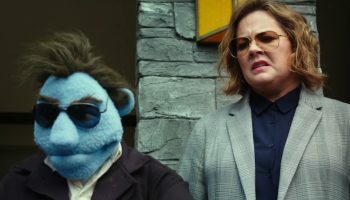 There is an early scene in The Happytime Murders where a puppet is harassed by some teens; one of them pulling out his eyeball. There were many moments in this film, where this would have been relief, not torture, for me. Brian Henson, son of Jim Henson (creator of The Muppets and contributor to Sesame Street’s characters) directs and co-produces what is classified as a “black comedy crime film”. Opening with gravelly narration by Bill Baretta, the voice of Phil Philips, the anti-hero chain-smoking ex-cop one certainly gets the feel of film noir classics, but as for comedy…? A killer is on the loose in L.A., targeting The Happytime Gang, a successful TV show from the ’80s; its cast consisting of Phil’s’ brother, Larry Shenanigans Philps (Victor Yerrid) and Jenny, Phil’s ex-flame and sole human member (Elizabeth Banks) and others . We are painted a picture of inequality and abuse by writer Todd Berger, where puppets are the inferior group and their addiction to sugar presents us with an underworld of tatty prostitutes, crime lords, drug dens and other squalid scenarios. Melissa Mccarthy (Connie Edwards) once worked with Phil as a cop, before his dismissal after shooting an innocent nearby puppet. Connie feels as though she doesn’t belong in society after an organ transplant using a puppet donor, hence, her constant need to get a candy fix. Her friendship with her ex-colleague has well and truly soured and when Connie and Phil are partnered up again to solve the murders, neither are having a happy time. What could have been fast, witty dialogue between Edwards and Philips simply develops into a torrent of disengaging and unfunny verbal abuse and awkward visual gags. Similarly, the premise of a marginalised class – the puppets – had the potential to be a fresh approach on social or racial inequality (Phil’s brother, who was “…a lot bluer before…”). Comedy can be a wonderful means of social satire if done correctly. The Happytime Murders failed to evoke a single chuckle. There are a few twists and surprises in the plot, all related to Phil Philips, his job and The Happytime Gang but the characters and script are so vile that a lack of empathy for anybody getting killed persisted throughout. 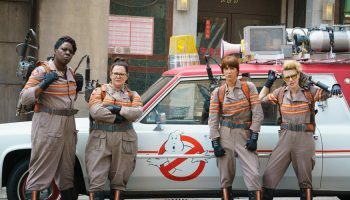 Henson’s team seemed heel-bent on shock value surpassing humour and audience engagement. A particular shot with an octopus and a cow and a ‘happy ending’ initiated lactose intolerance, and Philips’ romp in his office with a client, Sandra White, is as cringeworthy as they come. Literally. Bubbles, Philips’ secretary (Maya Rudolph), wordlessly clutches a cloth and cleaning solution to deal with the huge mess. I felt like doing the same, by the film’s end.